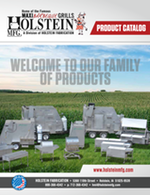 We specialize in gooseneck and bumper hitch trailers. 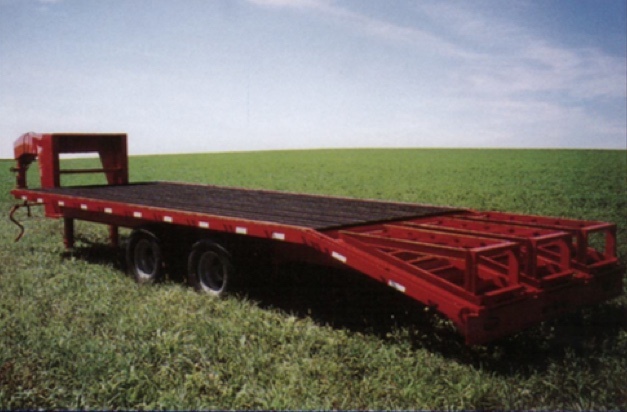 Gooseneck trailers may be sized from tandem 7,000 lb., 8,000 lb., 10,000 lb., or up to 12,000 lb. The axles may be standard spring axles or rubber torsion axles. We have made trailers from 16 feet to 40 feet long. We also make 10 foot hydraulic beavertails on a trailer for antique tractor riders or for hauling cars, etc. Currently, we have a 35 foot trailer with a 10 foot hydraulic beavertail and a 25 foot level bed. The floors are usually made with green treated tongue and groove wood. Rubber planks are also available.